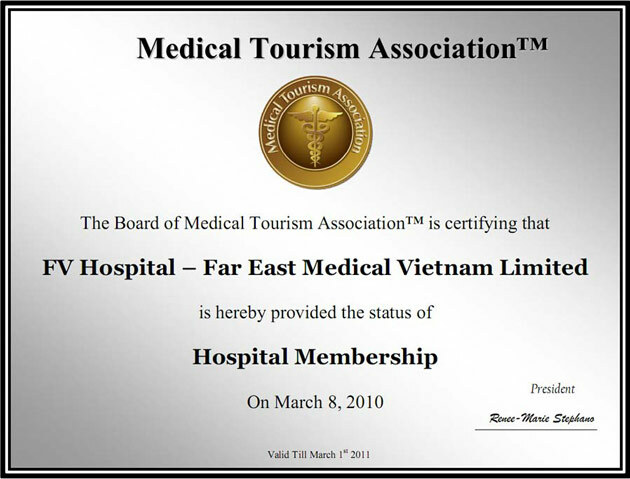 FV Hospital is 100% foreign-owned and is financed by a group of very experienced French, Swiss and Belgian healthcare professionals, and by the Bank for Investment and Development of Vietnam ( ). Officially opened in 2003, FVH is recognised as an international-standard, general- tertiary hospital offering a wide range of medical and surgical services. We currently treat over 150,000 patients a year, from consultation and diagnosis through to treatment completion, utilising services from one of more of FV's thirty specialised departments in each case. We implement established international standard procedures for sterilisation and infection control, using Getinge autoclaves and sterilisers. We utilise many surgical materials designed for single use, which dramatically reduce the possibility of infection. Also, we are continually upgrading equipment and technology in all our departments to better treat and care for our patients. Programmes for regular and thorough maintenance of medical and non-medical equipment are in accordance with the standards mandated by international regulatory bodies, as specified in our Patient Charter. Governance / accountability / transparency – the initial financing provided by IFC and ADB required us to adhere to a number of rules and guidelines in daily facility management; purchasing procedures, management structure, management operations, equipment usage and responsibility, accounting procedures and we continue to adhere to these stringent guidelines with our accounting procedures are regularly monitored by KPMG, the respected international auditors. Policies and procedures – FV's are of the highest international standard and are clearly outlined in the Patient Charter. customer service, the patient being our primary concern. Our mission is to provide the highest quality service possible – medical and non-medical – to each and every patient. disposing of residues in licensed, controlled and properly designed disposal sites, and phasing out the use of polyvinyl chloride materials by utilising suitable replacement materials. Correct procedural efficiency is essential to ensure international standards. FVH has several committees comprising senior surgeons and technical personnel who oversee key medical activities.